Quality Product, On Budget, On Time. Finding the right partner for this critical phase of your project will determine whether you bring your product to market on time. Our team understands this and has the purchasing experience and the manufacturing expertise that you demand. We have dedicated project managers that will be there from start to finish to insure that your goals are met. The management team at XLR8 has over 50 years of combined industry expertise. Our focus is providing a rapid response to our customers needs through advanced and proven techniques where we XLR8 "accelerate" the process and shorten the time to market. 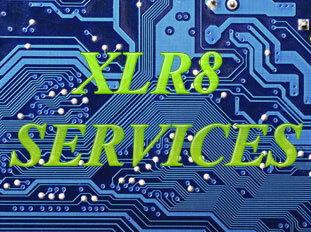 If you need one or more widgets built and need them fast... you need XLR8 Services. "We Specialize in Quick Turns"